The following brands are in no particular order. However, they all have real meat or meat meal, use natural methods for preserving the food, and contain no by-products. According to the Dog Food Project, Karma Organic is considered 95 percent organic. Karma's main source of protein is organic, free-range chicken, not "poultry by-products." Their secondary source of protein is organic brown rice, and they use vitamins E and C as preservatives. According to the company's own website, Newman's Own Organics is a 95 percent organic food. The formula contains chicken and chicken meal as its first two protein sources, with chicken liver on the ingredient list as well. Vitamins C and E are used as preservatives instead of the chemicals ethoxyquin, BHT and BHA. Orijen is produced on a small scale in Canada and sources its protein locally. The first five ingredients in their adult dog formula are fresh boneless chicken, chicken meal, fresh boneless salmon, turkey meal, and herring meal. By "fresh" Orijen means the meat is delivered fresh and is never frozen. The company also uses a combination of vitamin E and airtight packaging to preserve freshness in the finished product. ACANA Wild Prairie formula is protein-rich and free of by-products, fillers and chemical preservatives. The first five ingredients are deboned chicken, chicken meal, green peas, turkey meal, and chicken liver oil, and the company claims to use locally sourced, fresh foods which are delivered daily and passed as fit for human consumption. Duck, chicken meal, chicken and brown rice are the first four ingredients and protein sources in Fromm Adult Gold. Whole egg is also included. This brand preserves their product with mixed tocopherals and citric acid. Lamb is the number one ingredient and protein source in Wellness Lamb Super5Mix, followed by Menhaden fish meal. Salmon meal weighs in at number nine. This formula contains no artificial preservatives, flavors or dyes. Timberwolf's Southwest Chicken & Herbs formula lists chicken meal, chicken and turkey meal as the first three ingredients and protein sources. The formula also contains brown rice, whitefish meal and dried chicken liver. Mixed tocopherols, a source of vitamin E, are used as preservatives. California Natural's Adult Lamb Meal & Rice formula has one of the simplest ingredient lists, making it a good candidate for dogs suffering from food allergies. Lamb meal is listed as its only meat source, with additional protein provided by a combination of brown and white rice, respectively. This brand does not include chemical preservatives. Primal's Freeze-Dried Canine Lamb Formula is made from human-grade ingredients. The company states all the meat used is free of antibiotics, steroids, and added hormones. The first five ingredients are lamb hearts, lamb livers, ground lamb bones, organic kale, and organic carrots. Freeze-drying is a chemical-free method for preserving the food, but the company also uses other natural preservatives. If you're leery of trusting commercial dog food producers, you can try making your dog's food at home. This way, you can ensure the quality of the foods that are going into your dog. According to Pat McKay at Animal Homeopathy, the basic raw food recipe should contain 75 percent raw protein, and 25 percent raw or steamed vegetables. This basic recipe is based on that ratio, and it yields one cup of food. You can multiply this recipe to the right amount for your pet's size. Aim for the equivalent amount of kibble you feed now and gradually reduce the amount of raw food if your pet begins to gain too much weight. 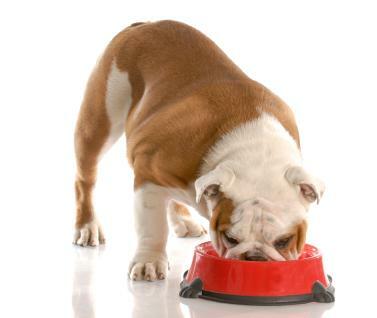 You'll eventually find the exact amount to feed your dog that ensures he maintains a healthy weight. You should also add a multivitamin to your dog's diet to make sure he receives complete nutrition. In the end, only you can decide if a particular dog food formula is beneficial for your pet, and you may find other brands that are just as worthy as those mentioned on this list. Always check the label of each bag of food you buy because ingredients can and do change without notice.